Hello and welcome to exampundit. So, LIC AAO 2019 Notification is out. 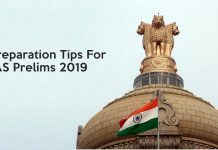 We have received a lot of requests to share a Preparation Plan for LIC AAO 2019 Prelims Exam. 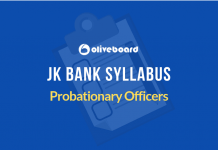 So, today we are sharing a strategically created Preparation Plan for LIC AAO 2019 Prelims Exam. 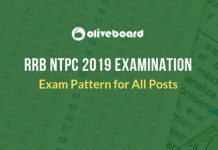 FIrstly, we have to be familiar with the exam pattern of LIC AAO 2019 Prelims and a few important points. We have already mentioned the Key Points related to LIC AAO 2019 Exam. So, we recommend you to check it out. Now, we have to remember a few important factors of LIC AAO 2019 Prelims. So, at first and most importantly you have to know that there has been no mention of Negative Marking in LIC AAO 2019. Which means, people will attempt by guessing and may or may not be the cut-off go high. Unlike other exams, LIC AAO Prelims 2019 will have a Minimum Qualifying Marks in advance. So, you have to score a minimum marks then make the cut-off. So, English Language test will be of qualifying nature and the marks in English Language will not be counted for ranking. That means, you just need to make sure you get 9 in English. No need to score a huge number in English unless you want to practice. Since there is no negative marking, you can practice English after securing 9 marks! Candidates equal to 20 times of number of vacancies in each category, subject to availability, will be shortlisted for Main examination. 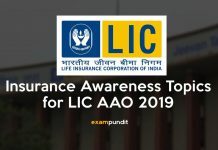 So, the ratio per category will be 1:20 for LIC AAO Mains 2019. Now, we will be focusing on the Preparation Plan for LIC AAO 2019 Prelims Exam. 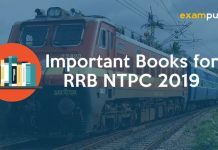 So, here are the important chapters of Reasoning and Quantitative Aptitude for LIC AAO Prelims 2019. So, the above mentioned chapters are important but that does not mean you will be leaving out the others. You can practice our quizzes from here. The LIC AAO 2019 Prelims Exam will be held on 4th and 5th May, 2019. 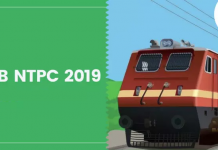 So, from 19 March, 2019 to 3rd May, 2019, you have 45 days in Hand. So, we are gonna break down the these 45 days into 3 fifteen days periods. So, for the first 15 days, you need to focus on working on the weaknesses and make sure you improve. This is not the ideal time to take mock tests. However, one free Mock test is ok.
1-3 Take a look back and list down your Strength & Weakness. After that, work on the weakness. Eg. If Puzzle is your weakness, start from the basics of Puzzle. 4-6 Now, you have start preparing subjectwise. 13-15 So, now start practicing Word Problems, Approximation or Puzzle & Seating Arrangements. Whichever is difficult for you! The second 15 days period will include improvising all the important chapters. We have not mentioned English because you do not need to qualify for that. So, for English, just prepare like other exams. So, after 24 days, you start giving Mock Tests for LIC AAO Prelims 2019. 22-24 Work on your Speed, make sure it is getting faster. The last 15 days will be very Important for your preparation. So, you have to revise all the important chapters once again and then start giving Mock Tests on a regular basis. The last 3-4 days should be just tightening the loose ends! 43-45 Finally, make another Strength & Weakness List and check the difference by yourself! So, this was our Preparation Plan for LIC AAO 2019 Prelims Exam. We have not given how many hours you need to study because that depends on individual person. If you want, you can make some changes according to your own capacity. So, all the best and start preparing for LIC AAO 2019 Prelims Exam! If you have liked the Preparation Plan for LIC AAO 2019 Prelims Exam, leave a comment below!